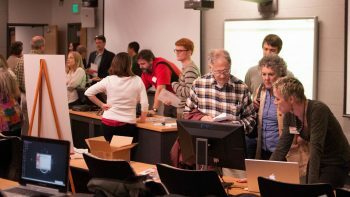 DELTA hosted its first DELTA Grants Showcase on March 25, 2019, from 2-4 p.m. in the Teaching and Visualization Lab in Hunt Library. 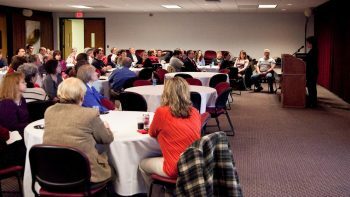 Senior Vice Provost for Academic Outreach and Entrepreneurship (AOE) Tom Miller made a presentation as part of his five-year review at the McKimmon Center Wednesday, Nov. 29, 2017. NC State acquired an enterprise-level license for Top Hat in May 2017, meaning faculty can use it at no cost to them or their students. After a successful pilot phase, students and faculty alike were excited about the unique features of Top Hat such as the variety of interactive question types and the ability to easily use it on any device. The classroom response system, Top Hat, also allows faculty to host their lecture slides, find customizable educational content, assign homework and quizzes and create an interactive textbook. Read more about the Top Hat launch. 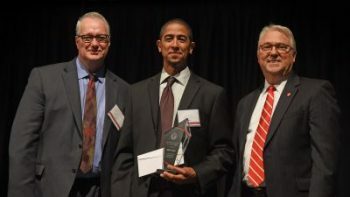 Creative Director of DELTA’s New Media Development Mike Cuales was honored with the NC State University Awards for Excellence at the recognition ceremony at Talley Student Union. The award is the most prestigious honor bestowed upon non-faculty employees. 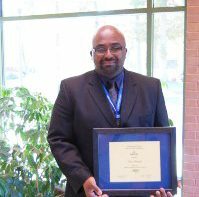 Cuales was nominated by Associate Vice Provost for Instructional Technology Support and Development Donna Petherbridge in the efficiency and innovation category for his relentless pursuit of innovative excellence. 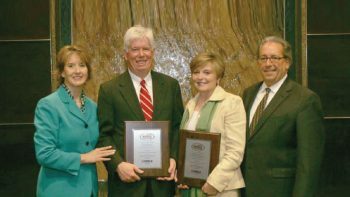 Read more about Cuales award. Academic Technology Innovation (ATI) is a new unit formed July 1 by merging the Media Production Services (MPS) team and the Instructional Technology Support and Development (ITSD) unit as part of a reorganization within DELTA. 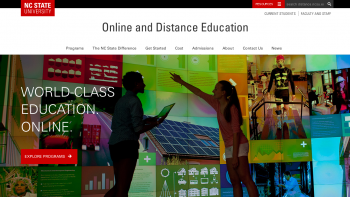 This organizational transition for DELTA will better position us to serve NC State’s current and future needs in distance education and learning technologies. Read more about the reorganization. DELTA conducted a usability study of the WolfWare website to help assess how usable the website is for our faculty. Based on the results of the study, DELTA was able to reflect on positive opinions and also discover areas that needed to be enhanced for functionality. Read more about the results of the study. The full report is also available. 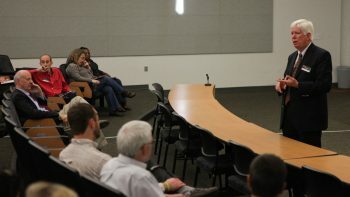 Executive Vice Chancellor and Provost Warwick Arden visited DELTA to give staff members an opportunity to discuss relevant projects and provide an overview of DELTA’s many services. Read more about the visit. 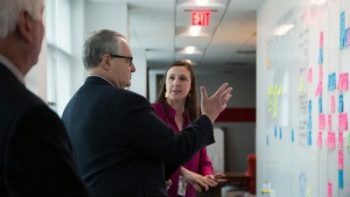 Over the past eight months, DELTA’s marketing and communications team incorporated the use of Kanban into their work in order to efficiently and effectively track ideas and project progression. Using this project management tool, employees can maximize their time on the job and increase work efficiency. 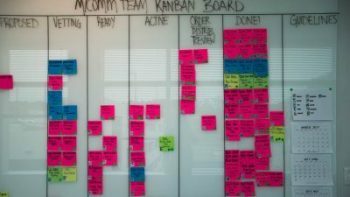 Read more about Kanban. 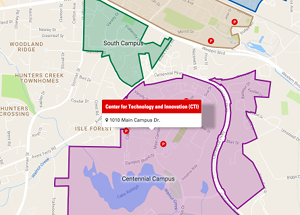 DELTA relocates offices at Venture II on Centennial Campus and D.H. Hill Library on Main Campus into the new Center for Technology and Innovation on Centennial Campus. Read about the move. The National College Testing Association (NCTA) awarded DELTA Testing Services with NCTA Test Center Certification. DELTA Testing Services demonstrated compliance with the NCTA’s professional standards and guidelines. Five DELTA colleagues were mentioned in the NMC Horizon Report: 2016 Higher Education Edition. Michelle Harrolle was awarded a DELTA Exploratory Grant in 2012-2013. During the span of the past three years, the grant for gamification was handed over to Dr. Ed Lindsay, a teaching assistant professor in Parks, Recreation and Tourism Management (PRTM). The intrigue and popularity of VR continues to gain momentum in mainstream media, but innovative institutions like NC State University are also actively engaged in exploring applications for virtual reality in education, training and experiential learning. Read more about how DELTA is pioneering this technology. 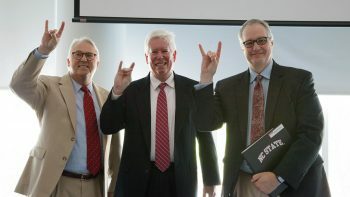 DELTA, NC State’s division for Distance Education and Learning Technology Applications, marked its 15th anniversary Aug. 12 with a celebration in the Hunt Library. NC State’s Mediasite hits milesone. There were 1,240,067 on-demand views of Mediasite for 27,116 presentations. 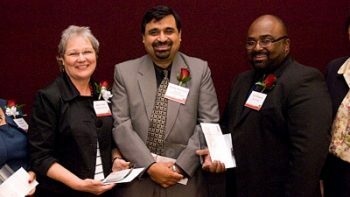 The William L. Turner Award is presented annually to an individual whose “significant contributions and accomplishments have enhanced and reinforced extension and continuing education as being an integral component of engagement at NC State in responding to the educational needs of the various stakeholders served or in the application of research to real-life issues and problems”. 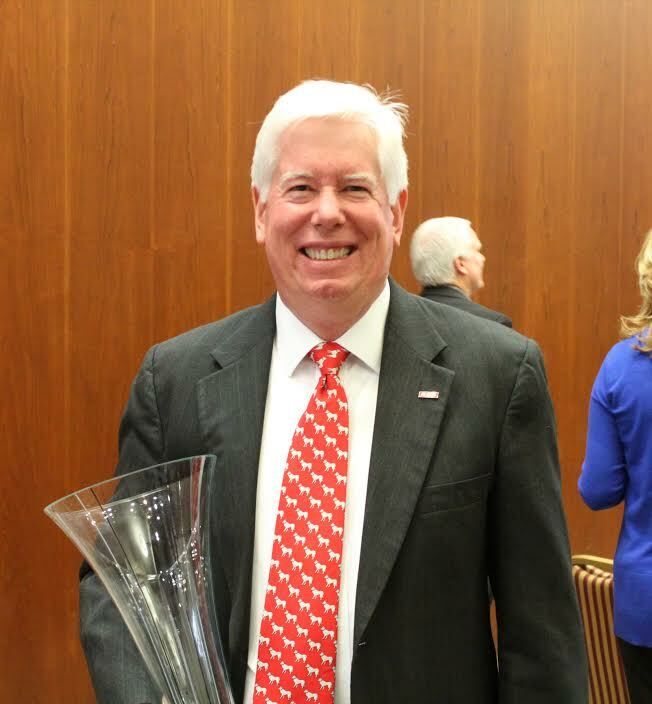 At the 2015 ceremony in April, Dr. Tom Miller received this award for his commitment to NC State. 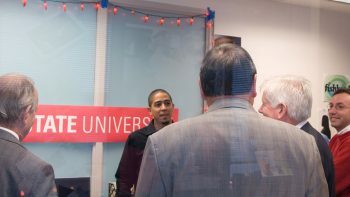 Miller has been extremely prominent at DELTA with his leadership experience and financial responsibility along with many other outlets and offices on campus, he has many other great achievements. By adding gamification elements to our learning management system (Moodle), PRT 266: Introduction to Sport Management students were awarded badges that students achieve as they work through team role-play challenges with the career cards and avacards. 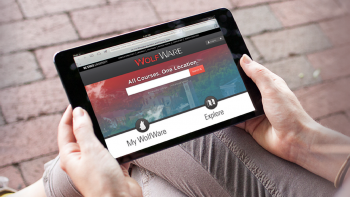 In August 2014, DELTA expanded services to include the new WolfWare Outreach LMS (Moodle) service for non-credit online courses and programs. 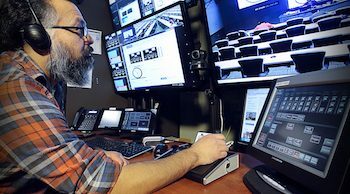 When faced with a 20 percent increase in demand for their Distance Education (DE) classroom recording services, Tony Pearson and his team in DELTA’s Video Communications Services (VCS) refused to choose between strong customer service and scalability. After a successful pilot during Spring 2014, My Mediasite became available to all NC State faculty and staff. After a successful pilot during spring 2014, My Mediasite will be made available to all NC State faculty and staff. My Mediasite is a service intended for all faculty and staff, not just current classroom content capture users. Read more about My Mediasite. 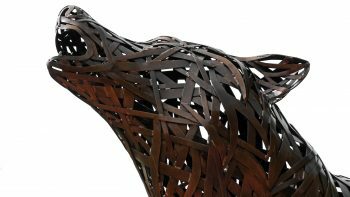 DELTA is working to pull all the available academic tools and technologies at NC State into WolfWare. 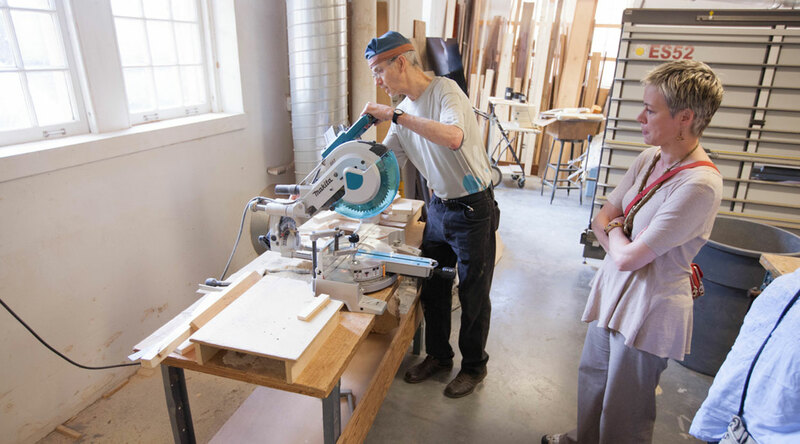 The goal throughout these efforts is a more convenient, holistic point of access for instructors and students. DELTA was featured in a recent article on HigherEd TechDecisions, which highlighted NC State’s unique blended learning environment as a successful example for other institutions. Read the full story. 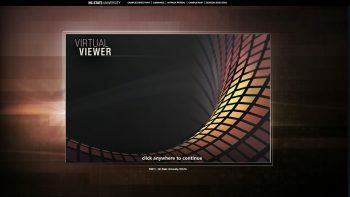 Mediasite was added to the WolfWare suite of enterprise services offered. DELTA launched a newly redesigned website, focused on helping people find services more easily and learn more about DELTA’s work with university departments, faculty and courses through the DELTA Portfolio section. 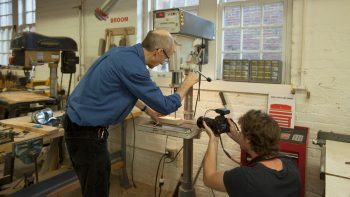 The College of Design’s Dana Raymond teaches the first fully online adaptation of a physical studio design class, ADN 386: Basic Sculpture, in the Fall 2013 semester. DELTA produced videos of the processes Raymond was teaching. Pictured below, Amanda Robertson of DELTA watches as Raymond explains a new process. The DELTA Testing Center needed a solution to help balance periods of heavy and light traffic and to improve the testing experience for students. So DELTA staff developed the WaitTime Web application, available for students to plan visits to the DELTA Testing Center. In ANS 110: Equine Science, Dr. Shannon Pratt Phillips sought a way to introduce her students who had never seen a real horse to gain specific knowledge. 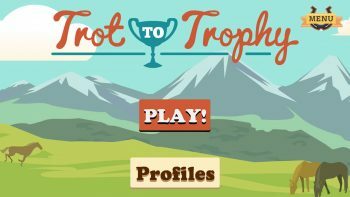 The idea for a web-based educational game was implemented by a team of DELTA full- and part-time designers and programmers. 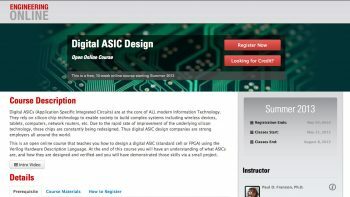 DELTA staff teamed up with Dr. Paul Franzon, professor of electrical and computer engineering, to create NC State’s first large enrollment, open online course (OOC)–ECE 520: Digital ASIC (Application Specific Integrated Circuits) Design. A 10-week course offered in summer 2013, ECE 520 was project-based with an emphasis on design practices and underlying algorithms. Students were introduced to a variety of concepts, including timing-driven design, low-power design, design-for-test and ASIC applications. The IDEA Grants and Large Course Redesign Grants were joined into one system and called DELTA Grants in 2013. In keeping with demands and the increase in usage of handheld technology, DELTA made Mediasite presentations playback available on mobile devices. Just over 75 guests attended the 2012 DELTA Open House on December 4, 2012, to learn about the services DELTA provides that allow faculty to build student success at NC State University. 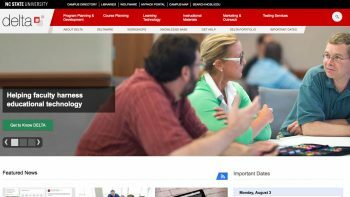 Blackboard Collaborate becomes NC State’s enterprise synchronous learning management system (LMS), replacing Elluminate Live! Read Blackboard Collaborate being adopted and Elluminate being decommissioned. When full-time, on-campus students registered for fall 2012 Distance Education (DE) courses, for the first time in more than a decade they didn’t wince at the additional cost. 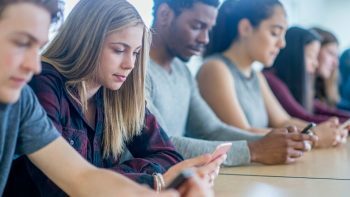 For them, the price tag for taking their class in a lecture hall or taking it online was exactly the same. 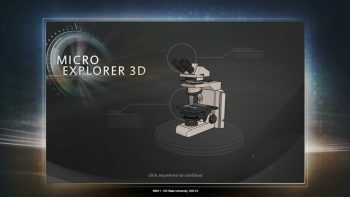 Released on iTunes in May 2012, the mobile version of the formerly web-only MicroExplorer 3D is now available as a free app on iPhone and iPod touch. 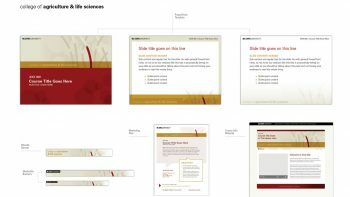 The long-running teaching with technology classes held each summer for faculty called Summer Institute was changed in format and in name to Summer Shorts in 2012. 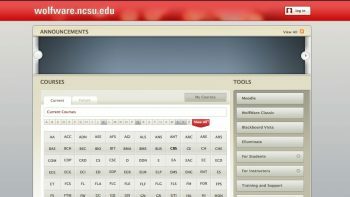 In Spring 2012, DELTA opened classroom content capture enterprise service using Mediasite to all NC State instructors teaching in a Mediasite-equipped classroom. 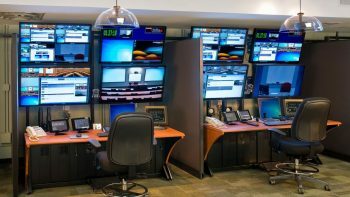 The Ricks Hall Annex construction was completed in 2009, which included a Central Control Room (CCR) to remotely monitor and control all DELTA classrooms on campus. More than 100 guests attended the second DELTA Open House on December 6, 2011, to learn about the many ways DELTA is helping faculty contribute to student success at NC State. 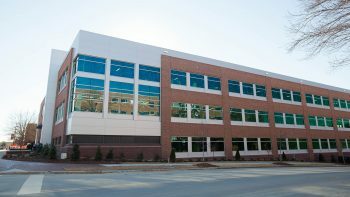 To keep up with a rising demand growth for exam proctoring, DELTA opened a new test proctoring facility near D.H. Hill library this year. The number of exams proctored by DE Testing Services is expected to rise from last year’s 23,000 to about 30,000 by the end of this year, a 30% jump. 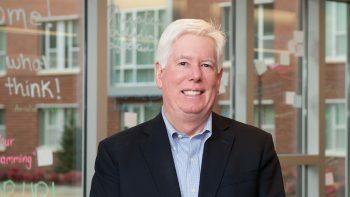 Dr. Tom Miller becomes Senior Vice Provost for DELTA, Continuing Education, Engagement and Outreach, and the Entrepreneurship Initiative (EI). As a result, some restructuring of DELTA was necessary to allow for Dr. Miller’s new dual roles. In 2012 Poe 202 became our first fully Digital classroom incorporating the Crestron Digital Media solution, delivering an end to end digital solution in the classroom. 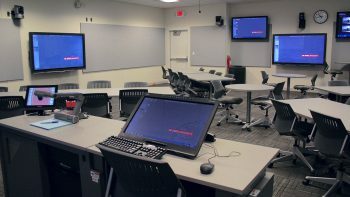 Poe Hall was also the first fully collaborative classrooms on campus to offer interactive SMART boards on every wall and the tools to connect to remote SMART boards and portable/mobile devices anywhere. Derived from a series of solutions for IDEA Grants courses created to provide visual cohesion among the course delivery tools used in most online courses, College Course Templates (CCTs) took a set of solutions and redesigned them, removing specific course identifiers, so that they could be reused across courses and colleges. 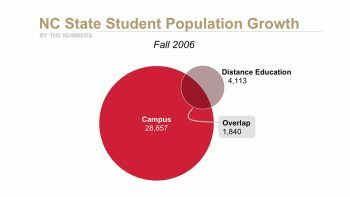 In 2011, NC State had the largest Mediasite deployment in the United States. 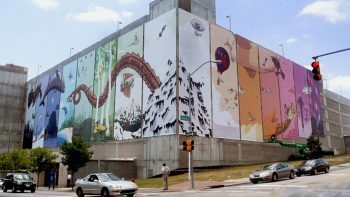 Three DELTA student interns and College of Design students, Jordan Deva, Joe Lawson and Justin Phillips, made a huge public splash on the skyline of Raleigh with their gigantic set of banners that now adorn the L-Building in Raleigh. Distance education has come a long way since Dr. Jon Paul Rust, the head of the Textile Engineering, Chemistry and Science (TECS) department, started teaching Introduction to Fiber Sciences (TMS 211) via post more than 20 years ago. 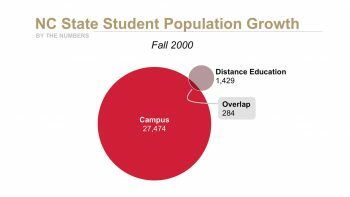 By the fall of 2010, more than three-fourths of distance education students resided on campus. 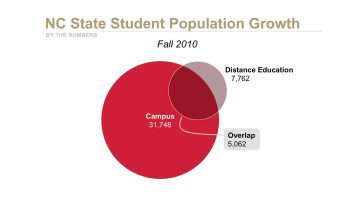 Out of 7,762 DE students, there was an overlap of 5,062 on-campus students. DELTA’s Tony Pearson was selected as the Community Choice Award Recipient at NCREN Community Day. 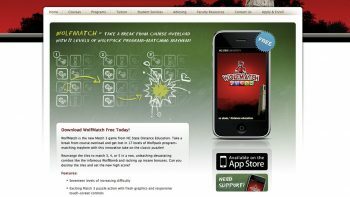 The NC State WolfMatch iPhone Game was a mobile development research and student recruitment initiative to generate brand awareness. Technology changed from 2003 when students received videotapes for distance education classes. Then, videotapes were replaced with DVDs in 2005. Fast forward to 2010 and distance education now means online education as most classes migrated to the internet. 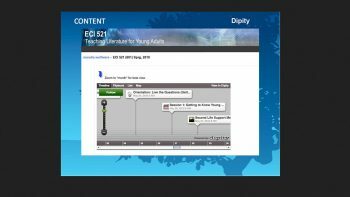 DELTA staff worked with Cris Crissman to create a Distance Education (DE) version of ECI 521: Teaching Literature for Young Adults. This is a graduate-level course directed to middle-school teachers and MAT graduate students. DELTA held an Open House in Venture II December 2, 2009. 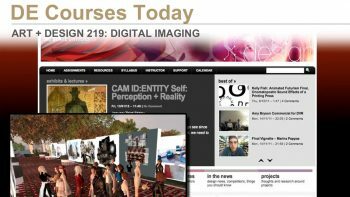 In Digital Imaging, DELTA Multimedia Designer and Adjunct Assistant Professor of Art + Design Amanda Robertson, DELTA Instructional Designer Cathi Phillips, and Associate Professor of Art + Design Pat FitzGerald have been exploring ways to teach a critique-based design course in an online environment. 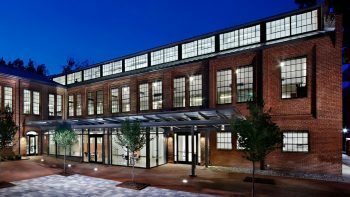 Following a three-year comprehensive renovation, Park Shops reopened. 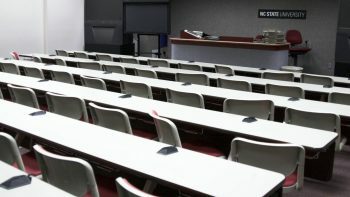 The renovated facility provided DELTA its largest classroom space at the time of 88 seats in addition to a production studio. Distance Education reaches benchmark in FY 2008-09 of individual students 11,059 totaling 21,162 enrollments. Tony Pearson was one of five recipients from a pool of 57 nominees to garner a university Award for Excellence. 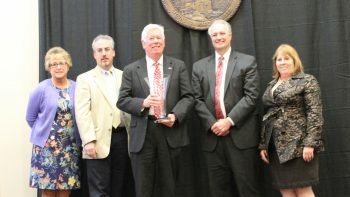 Dr. Tom Miller, North Carolina State University Vice Provost for Distance Education and Learning Technology Applications (DELTA), was honored by the United States Distance Learning Association (USDLA) with its award for Outstanding Leadership by an Individual in the field of Distance Learning. Much of DELTA consolidated into the Venture II building from spaces held in both Venture III and Venture IV. 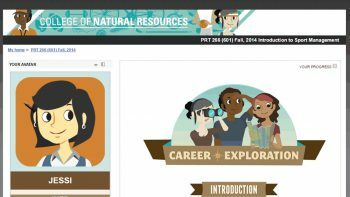 The DELTA Course Redesign (CR) Grants provide financial and staff resources to help faculty leverage instructional technology to enhance teaching and learning and increase student access to large, undergraduate courses. The first mini studio was developed in Distributed and Distance Education utilizing Mediasite. 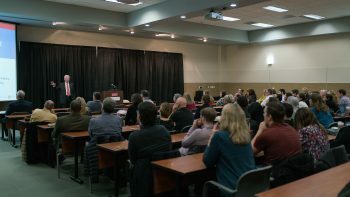 Faculty would be able to record events outside of regularly scheduled class time, such as review sessions, presentations, guest lectures or other special events. 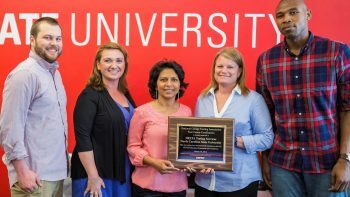 DELTA’s Summer Institute received the Gertrude Cox Award for Innovative Excellence in Teaching and Learning with Technology. DELTA began transitioning away from traditional video recording and began using Mediasite as the classroom capture platform. 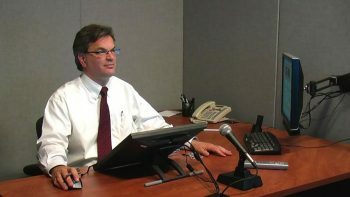 DELTA began using Mediasite to record lectures in the DE classrooms supported by DELTA’s Video Communication Services team. Following a three-year renovation, Withers hall reopened and provided DELTA a 30-seat classroom in Withers 125. 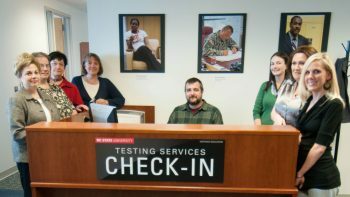 DELTA Testing Services was created as a centralized service within DE Administrative Services, located in Venture II on Centennial Campus. DELTA contracted with Flywheel Design in Durham to create a new brand identity. 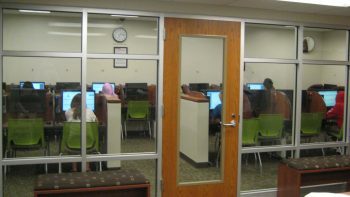 By the end of 2006, more than 4,000 students were taking advantage of distance education classes, with 1,800 of these students enrolled on campus. In 2006, DELTA internally organized into five units under Vice Provost Tom Miller: Distance Education Instructional Services Information Technology Marketing and Partnership Development Business Office Administrative responsibilities for DE student services transitioned from Credit Programs and Summer Sessions to DELTA. A pilot version of Moodle was made available for fall 2006 courses. In preparation for Park Shops renovations, Daniels 331 and 327 were upgraded to fully support distance education classrooms. In the fall semester of 2005, Park Shops classrooms 107 and 108 go offline. Engineering Building II (EBII) Room 1230 was converted to a DE classroom. WebCT moved to production as an enterprise-level learning management system. DELTA began its transition from VHS to DVD in early 2005. All machinery and processes were converted to DVD. Full DVD production was in the works by Fall 2005 and all tape sets gone by Spring 2006. 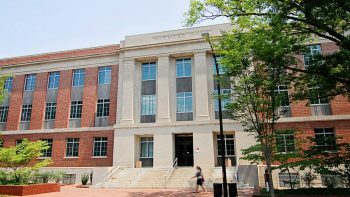 Withers Hall underwent renovations and Withers 332 goes offline. 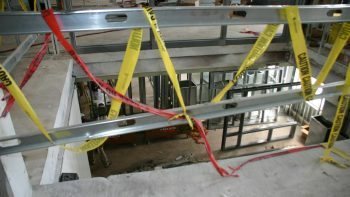 The technology was designated for reuse in Engineering Building II 1230. 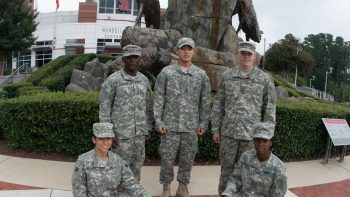 Educating those that serve in the military is an important commitment of NC State as a Land Grant institution through Distance Education (DE) program offerings. WebCT was the first purchased Learning Management System (LMS) implemented by DELTA as an enterprise service for the university community. Also in 2004, DELTA partnered with MCNC in Research Triangle Park to house DELTA servers. Innovation in Distributed Education Applications (IDEA) grants are a competitive awards program, now called DELTA Grants. 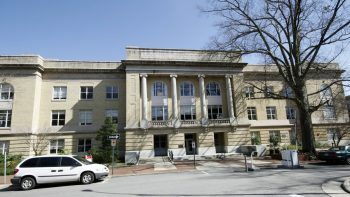 LTS moves back into their present space in D.H. Hill Library after renovations to create the new Learning and Research Center for the Digital Age. 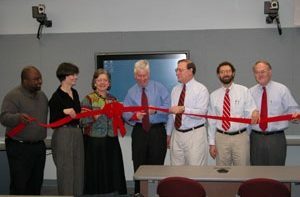 Mann Hall DE classroom ribbon cutting in 2003. Tony Pearson, Sharon Pitt and Dr. Tom Miller, all of DELTA, pictured with Dr. Krute (EOL) with civil engineering faculty members. DELTA administration moves to Venture III on Centennial Campus. 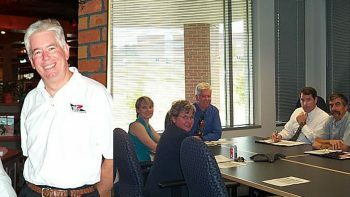 The first meeting of the newly formed DELTA met each other at an all-hands meeting in October 2001. Summer Institute was started by Learning Technology Services before it became a part of DELTA. 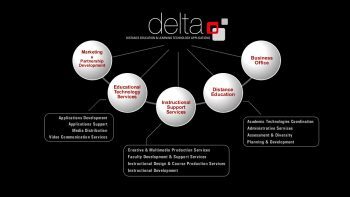 When DELTA was created, the Distance Education program enrolled 1,429 students, with nearly 300 comprising on-campus students. 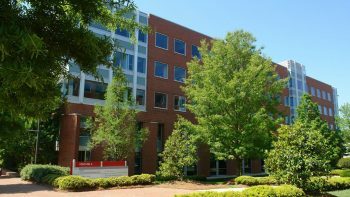 DELTA’s Video Communication Services (VCS) began offering video streaming services to meet some of the distance education needs of NC State University. DELTA formed beginning July 1 under the direction of Dr. Tom Miller while a national search was underway. 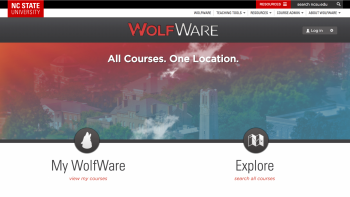 A web-based system to support any course taught at NC State, WolfWare was developed before DELTA.